21 Savage was on top of the world entering 2019, as he was the biggest artist in the country, while his new album I am > I was held the title as the #1 album in the U.S. for two weeks straight. His second studio album effort was released to much commercial and critical success. 21’s early music was gory, violent, and shockingly honest. He told vivid stories in his monotone croon over horror movie level beats, citing stories about when he was shot 6 times on his birthday, got kicked out of school in 7th grade for bringing a gun, and how nearly all of his friends have died. While many cast him off for praising the gangster life, he was merely rapping about his terrifying reality and spreading awareness about his situation through music. Savage rode the wave of his newfound fame and began rapping about his 12 car garages, Saint Laurent clothing collection, and icy jewelry. This lyrical change appealed to the masses, with his single Bank Account going 3x platinum. 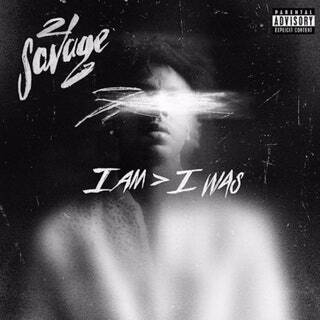 However, if 21’s latest album title, I am > I was, is any indication, some soul searching led to a replenished 21 Savage. The man of many memes, like the “Issa Knife” and “Supervillain” ones, publicly disavowed jewelry and started giving back to Decatur, Atlanta, the community he grew up in and still resides in. The 26-year-old created the “21 Savage Bank Account Campaign” which teaches kids financial literacy. He held another “Issa Back 2 School Drive” where he gave out supplies, haircuts, and clothes. He infamously went on a feminist walk where he marched around with a sign reading, “I’m a hoe too.” His vocabulary was elevated, and 21 was using his notoriety for good while leaving behind his street life but not abandoning where he came from. His music reflected this lifestyle change too, rapping more vulnerably than ever, with clearer and precise penmanship. I don’t think this is what he means—is he talking about word choice? 21 among celebrities was strong, as almost everyone was still stunned by the situation. Everyone had assumed he was from Atlanta due to his music and strong ties to the city. The timing of the arrest was suspicious as well. Just two days prior to the arrest, Savage released the music video for the song “a lot” featuring J. Cole. In it, he added a new verse that included the line, “Been through some things, but I couldn’t imagine, my kids stuck at the border.” The government seemingly didn’t know about his immigrant status when he was arrested in 2014 on felony gun charges (which have since been dropped). This arrest is not isolated, as many rappers were arrested in February. The list includes YNW Melly, Blueface, Young Thug, Young Nudy, Lil Baby, NBA Youngboy, and many more, and people have theorized the government has a vendetta against rappers. 21 Savage was released on February 13th on bond, but still faces the strong possibility of being deported and banned from the U.S. for 10 years. It is going to be a long process and a difficult legal battle for him to remain in the U.S., and he is in danger of being separated from his 3 children. He represents over 700,000 other Dreamers and their challenges ahead. 21 Savage has changed for the better and is bettering the culture and his community. You can sign a petition online to stop the deportation of the rapper, producer, and father, 21 Savage.